Would You Visit The Dentist At A School of Dentistry? Get everything you need in one convenient place, in the atmosphere of dental professors. What would you say if we told you that you could go to the dentist at a school that teaches dentistry? By going to the dentist at a school of dentistry, you can receive the same benefits as a low cost dental clinic – with quality care in mind. Receiving dental work at dental schools like Penn Dental Medicine, you receive care for only a fraction of the cost. Student doctors take great care of you while our faculty oversees everything that they do to be sure you are getting the best care around. 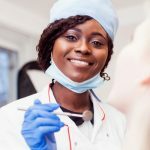 Choosing a dentist like Penn Dental Medicine is also a great choice if you are without insurance, because of our low fees. If payment plans are needed – you can receive payment plans through Care Credit. After you have submitted a request to be seen at our clinic, you will appear at hour appointment and fill out a health history form, perform a physical exam and a brief dental exam. We will take a look at your needs and the concerns that you have. If you have dental needs that match the needs of our student doctors, we will have you come back for a second examination to develop your treatment. During your examination and your treatment our faculty will be by your side or every step. Your treatment may take multiple appointments, depending upon your needs. Payment is due at the time of service. Why Choose Penn Dental Medicine Over Other Clinics? 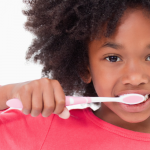 Penn Dental Medicine has provided patient-centered, comprehensive oral care since 1878. Penn Dental Medicine’s educational programs provide training for the next generation of dentists. 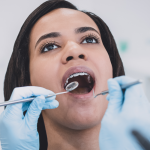 Our ability to charge you lower fees than most dental offices is because services are done at the expense of the student doctor, and only operating costs are charged. Here at Penn Dental Medicine you receive low cost care, without compromising the quality of the care that you receive. We also offer emergency services Monday through Friday from 8:00 A.M. – 4:30 P.M. Simply call 215-898-8965. Emergency exams are $45, and x-rays can range from $21-$100. If additional services are required, we will give you the additional fee before beginning treatment. 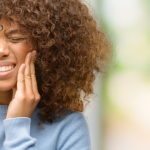 For more information on how Penn Dental Medicine can deliver you quality care at a low cost, give us a call at 215-898-8965 or contact us online.